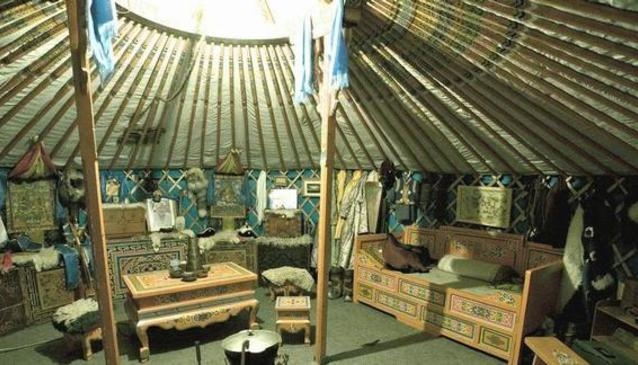 The Museum of Nomadic Culture is one of the most striking and unusual museums of the Russian capital. Thanks to its unconventional and interesting approach to art and the museum's dedicated team, it is always full of visitors. Pupils and students gladly learn about the traditions of the Nomadic peoples of Mongolia, Kyrgyzstan and Chukotka. The creator of the Nomadic culture museum, Konstantin Kuksin, is a traveller, ethnographer, writer and scientist. He traveled all over Russia, he studied the life and culture of different peoples, and one day decided to go on an expedition to collect unique items with the vision of a museum in mind. Today the collection ranges from pieces coming from the Far North, Mongolia and Kyrgyzstan, including items from the Chukchi reindeer herders and the Battles of Khalkhin Gol. Despite the fact that the cost of items is very high, visitors are invited to touch them. The Nomadic culture museum is located in the open air with various homes of nomads on display, each devoted to a particular people. The founder of the museum regularly performs in traditional yurts (a portable, felt-covered, wood lattice-framed dwelling structure) and holds lectures on Buddhism open to anyone. The Museum staff welcome guests in costumes of the North and tell amazing stories in camps and tents about the world of the nomads. Visitors can try their hand at shooting a bow, riding a horse, trying on costumes and feeling like a conqueror! This method of "immersion environment" allows visitors to quickly take in and appreciate all the information, culture and history. Moreover, the museum staff are developing an environmentally correct model of settlement areas within extreme living conditions. The museum shop is also well stocked with videos and thematic literature. The museum premises are also used as a Buddhist temple, a library, a guest yurt conducting scientific conferences, concerts and children's holidays.